Coaching is a about unlocking your individual potential to maximise your performance and to enable positive change. It is a transformational process that uses one to one conversations to help you or members of your team realise their full potential and is founded on the belief that you have the answers you need within you. Your coach simply helps you find them for yourself by asking the right questions and using the right tools. Coaches use specialist techniques and models to help you discover what motivates you, any obstacles you are facing and what you’d like to achieve. This may involve recognising and overcoming obstacles, growing your confidence or developing your skills. Your coach then supports you to develop strategies for achieving your goals. They will supportively challenge you to look at things from a different perspective. How does coaching differ from mentoring and other forms of learning? Coaching is forward looking, not remedial. It is a structured learning conversation, with agreed actions between sessions. It focuses on the development of new skills, enhancing interpersonal skills, career and leadership development. Your coach does not have to be an expert in your field of work. They are an expert in asking the right questions and using appropriate tools to help you unlock your potential. We can either meet in person or talk on the phone or video call, or a mix, whichever suits you. Coaching sessions usually last around 45 minutes to 1.5 hours and will always end with you committing to action. The number of sessions you’ll need depends on what you’d like to achieve but is typically 6-10 sessions over 5-6 months. During our initial conversation we will talk about your goals and Jenny will then suggest a tailored programme for you, letting you know how many sessions she would recommend. If you are happy with this, we will get our first call booked in. It’s important to say that Jenny offers a completely confidential service so nothing you discuss would ever be shared. Interested in finding out more? Why not book a free 30 minute consultation? When providing corporate coaching, we typically begin the process with a triangular conversation between line manager, coachee and coach. This can include HR or other sponsors also. The purpose is to contract around confidentiality, objectives and how we will work together. Reviews during the process and at the end may also take place as well as evaluation.If you are interested in coaching for your team or across your organisation, please get in touch letting me know your requirements and goals so that I can tailor a package for you. As a result of my coaching sessions with Jenny I have made some changes to mindset which have helped me operate differently, i.e. prioritising strategic thinking and planning, making time for reflection. This has made my work better, more efficient and focused, and I feel more motivated. Over the last 4 years I have worked with Jenny on a 1-2-1 basis as her coaching client, attended her talks and been part of the Happenista tribe. 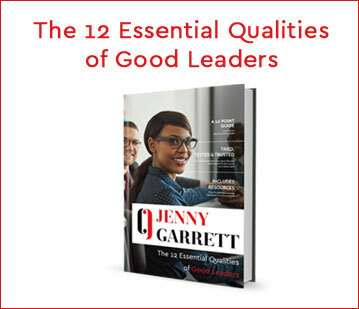 Jenny is wonderful coach and leader, she has a unique ability to see beyond the surface of issues and challenges to help you find your purpose and a way forward. Her talks are informative and enjoyable and her leadership on the Happenista project has been fantastic. Jenny leads with calm authority and truly shows how you 'walk your talk'! Jenny's coaching helped me to become more confident and decisive. The support and guidance that Jenny provided have been invaluable and I would say that the investment was well worth it. She has a very good approach to discussing even difficult matters and managed to neutralise my perspective of the challenges that I was facing. I recently had a 1-2-1 coaching session with Jenny concerning my business. Jenny was personable, kind and patient and gave me some great advice. I can 100% recommend her to anyone who is need of guidance and a little push. I've also completed Jenny's 'Happenista Project' which is a fabulous online coaching course full of inspiration and motivation. Jenny is amazing, she just gets it. There seem to be no barriers or boundaries in the way she thinks which in turn helped me to look outside the box. Everything I invested in my coaching sessions was worth it.